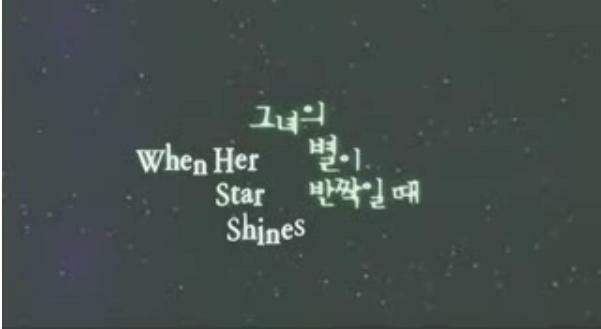 (24/11/2007) 그녀의 별이 반짝일 때- When Her Star Shines. This is one of the drama in Drama City. This is a simple love story between a detective and an ex-convict. The Detective fall in love with the girl when he was in duty to watch every move of the girl. The police purposely stayed at the girl’s house after she went out of prison. From then on, both gave a deep impression to each other. Not to complicated, just simple. For those who can read Korean, here is the link to the drama summary. credit to MySoju, KBS.co.kr, DramaWiki.